Joseph Fomusi Ndisang is an Associate Professor in the University of Saskatchewan College of Medicine, Department of Physiology. He received postdoctoral training in Physiology at the University of Saskatchewan College of Medicine from 200-2005. He received a PhD in Pharmacology & Toxicology from the University of Florence, Italy, 2000. He received a Doctor of Pharmacy degree from University of Florence, Italy in 1995. He has received several distinguished awards and distinctions including: Fellow of the American Heart Association (FAHA) in 2011; Fellow of the International College of Angiology (FICA) in 2007; Young Investigator Award by International College of Angiology (2007); Young Investigator Award by the American Society of Pharmacology & Experimental Therapeutics- Division for Drug Discovery, Development & Regulatory Affairs (2005); Young Investigator Award by the Society of Experimental Biology and Medicine (2005); Recognition Award for Meritorious Research by a Young Investigator by the American Physiological Society (2004). He has published 36 manuscripts, 57 abstracts, 2 book chapters, 1 book and has served peer-reviewer for may highly reputed journals and funding agencies in United States, United kingdom and Canada and has also served as external PhD examiner in Canada and internationally.Currently, Dr. Ndisang is an Editor for Frontiers in Bioscience (impact factor 3.8) and Executive Guest Editor for Current Medicinal Chemistry (impact factor 3.7) He has published more than 64-full length manuscripts in peer-reviewed journals and more than 80 abstracts. Dr. Ndisang has served as external PhD examiner for several universities in Canada, has given more than 30-invited talks, and has also served as peer-reviewer for several reputed journals and granting agencies in United States, United Kingdom, Canada, New Zealand and Poland. GERALD C. HSU has worked in various industries, including defense, nuclear power, computer-aided-design, computer hardware engineering, software development, semiconductor design, robotics, etc. He ventured in a very successful start-up and served as the Founder, Chairman, and CEO of a public traded company in Silicon Valley during 1994 to 2002, which specialized in artificial intelligence tools for semiconductor chip design. During the period of 1999 through 2002, he was also ranked as the highest paid CEO among 15,000 chief executives in Silicon Valley. GERALD C. HSU received an honorable PhD in mathematics and majored in engineering at MIT. He has spent 20,000 hours in T2D research. First, he studied six metabolic diseases and food nutrition during 2010 to 2013, then conducted his own diabetes research during 2014 to 2018. His approach is “quantitative medicine” based on mathematics, physics, optical and electronics physics, engineering modeling, signal processing, computer science, big data analytics, statistics, machine learning, and artificial intelligence. His main focus is on preventive medicine using prediction tools. Burd was the the Founder & CEO of DexCom, Inc., now the leader in continuous glucose monitoring. In 2017 he founded Lysulin, Inc, in order to launch a natural, scientifically proven nutraceutical product proven to improve the health of people with diabetes. The product, Lysulin was launched in January of 2018 and has been proven to work in double-blind placebo-controlled studies. He is also the founder and CEO of Wonder Spray, llc., a product to treat wound healing and other ailments. Dr Burd has authored over 40 publications and hold 35 issued patents. In 2010 he was inducted into the American Association of Clinical Chemistry Hall of Fame and received the Ullman Prize for innovation in clinical chemistry. Francesco Lippi is Graduated in Medicine and Surgery at the University of Pisa, Albo Pisa 1879/79. Specialization in Endocrinology at the University of Pisa July 1982. Specialization in Nuclear Medicine at the University of Florence July 1987. He has taught at the Institute of Clinical Methodology and the Institute of Endocrinology of the University of Pisa. From 1990 as a Professor of Endocrinology at the University Hospital of Pisa. He conducted the study (pahe se III) on effects of recombinant human TSH (rhTSH) adjuvant therapy in compassionate use program for patients with differentiated thyroid carcinoma. Then used a low activiy of radiodine therapy for treatment of thyroid remnants after surgery using rhTSH therapy without widrawall l-tiroxine. After Chernobyl accident partecipate to European Commision Study for diagnosis and tratment of children exposed to the radiations or radioactive follow-out (1990-1995). He held master's and refresher courses in Endocrinology and Nuclear Medicine at Stanford University (USA) for the treatment of thyroid carcinoma with rhTSH. He held an update master's degree at the Mayo Clinic in Rochester (USA). 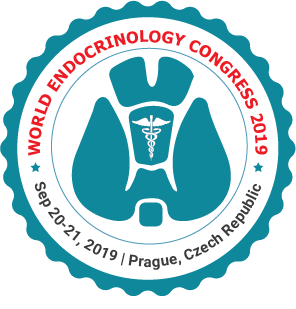 Associate of scientific associations in the field of Endocrinology as Endocrine Society, American Thyroid Association, European Thyroid Association and Medical Endocrinolist Association (AME). Gundu H. R. Rao obtained his B.Sc degree from the University of Mysore and B.Sc (Hons) and M.Sc., degrees from the Poona University. He worked for an year with the Commonwealth Institute of Biological Control, Bangalore and five years at the Central Food Technological Research Institute, Mysore. He immigrated to the USA in 1965 and specialized in grain storage technology and obtained his Ph.D degree from the Kansas State University, Manhattan, Kansas. After working as a post-doctoral fellow at the Texas A& M University and University of Minnesota, he joined department of Pharmacology as an NIH fellow to get training in toxicology. He has been with the University of Minnesota Medical School for over 40 years. He is a naturalized US citizen and a tenured professor in the department of Laboratory Medicine & Pathology. He also has faculty appointments in Anesthesiology, Lillehei Heart Institute, and Biomedical Engineering Institute. He is an author or co-author of over 300 publications in the field of interest (thrombosis and stroke). In the past, he has consulted various medical device development companies in the Twin Cities including 3M, Medtronic Inc, St Jude Medical, Medical CV Inc, Vascular Solutions, APP Tech, Endocardial Solutions, PlaCor Inc., Medical Innovations Inc, Hypertension Diagnostics Inc. and Boston Scientific on problems related to biocompatibility, thrombosis and stroke.